Endorsed by the Michigan Dental Association® (MDA), our fee-only financial planning and retirement division provides dedicated investment services and goal-based planning services with the highest level of fiduciary care to our dentistry professionals. We make our team available to accommodate the various educational and scheduling needs of our working professionals through live enrollment meetings, phone and web conferences and one-on-one consultations available either in their office or a convenient location of their choosing. As Certified Financial Planners™, our advisors are dedicated to understanding and discussing your financial goals, timelines and the steps needed to stay on track. Working by your side, we will assist in the selection of investment vehicles and strategies that are the best fit for your comprehensive needs. As discretionary investment managers, we are also able to manage the ongoing research, trading, rebalancing and maintenance activities needed to proactively align your investments with your goals through our commitment on-going service and support. 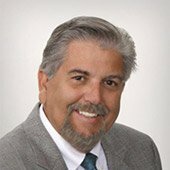 When considering introducing a qualified retirement plan to a dental practice, we are able to partner with our tax division to identify the most advantageous plan structure for both you as the business owner and as well as your employees. From there we will conduct a provider comparison to assist in selecting the best option based on needed features, benefits and costs. We will establish the investment options and provide the guidance and resources needed for plan participants to understand and utilize the full benefits of their accounts on an ongoing basis. To learn more about our financial planning and investment services, contact us or call 800-327-2377 today for a consultation. 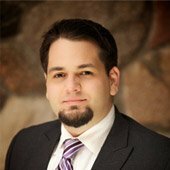 DBS Investment Advisers, LLC is registered as an investment adviser with the States of Michigan and Ohio, and only transacts business in states where it is properly registered, or is excluded or exempted from registration requirements. Information presented is not an offer to buy or sell, or a solicitation of any offer to buy or sell the securities mentioned herein. All investment strategies have the potential for profit or loss. Changes in investment strategies, contributions, or withdrawals may materially alter the performance, strategy and results of your portfolio. Different types of investments involve varying degrees of risk, and there can be no assurance that any specific investment will either be suitable or profitable for a client’s investment portfolio. Historical performance results for investment indexes and/or categories generally do not reflect the deduction of transaction and/or custodial charges or the deduction of an investment management fee, the incurrence of which would have the effect of decreasing historical performance results. DBS Investment Advisers, LLC uses a number of different sources for research purposes, including Morningstar, fi360, Broadridge Forefield, Fidelity, MoneyTree Silver, and others. 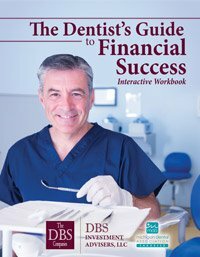 Download The Dentist’s Guide to Financial Success Interactive Workbook.